Der Artikel Muzio Clementi (1752-1832): Sämtliche Klaviersonaten Vol.6 wurde in den Warenkorb gelegt. Howard Shelley’s series of Clementi’s Piano Sonatas has received the highest critical acclaim and reawoken interest in this important body of piano music. Today, the composer has been overshadowed by his great rivals; but, as this unique series has shown, the best of his sonatas can equal Mozart and Haydn and were clearly a huge influence on the young Beethoven. 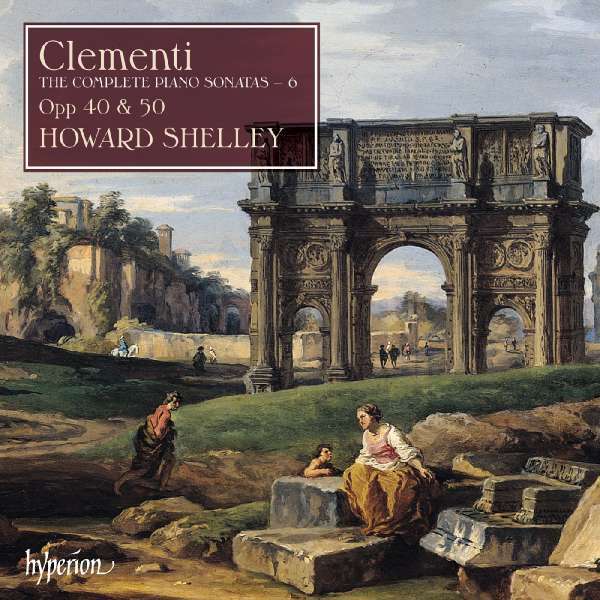 This sixth and final volume contains some of the most complex, virtuosic and large-scale works that Clementi wrote for the keyboard, written for performance in London concert halls, by the great pianists of the day, for a fashionable and discerning audience.